Not that it was ever in doubt, but scandi-pop is still going strong. 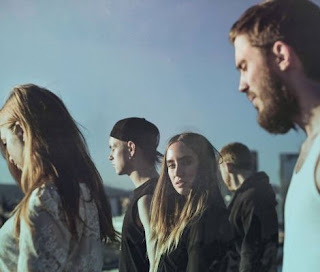 Really strong, if you take into account the latest single from Norway's anthemic outfit Highasakite. Listen to the soaring 'Keep That Letter Safe' below. The opening layered vocal melodies feel more suited to a folk sound, but it's not long before the synth parts kick in to complement an absolutely huge chorus. I'm singing along, and I'm not even sure what half the lyrics are. Supremely euphoric. Find more info at highasakite.no/.